illumination Physics is excited to announce that we are an Associate Sponsor of the Light·Space·Design Summit 2019. The summit will bring together leaders in the industry and explore how to navigate the rapidly developing industry. 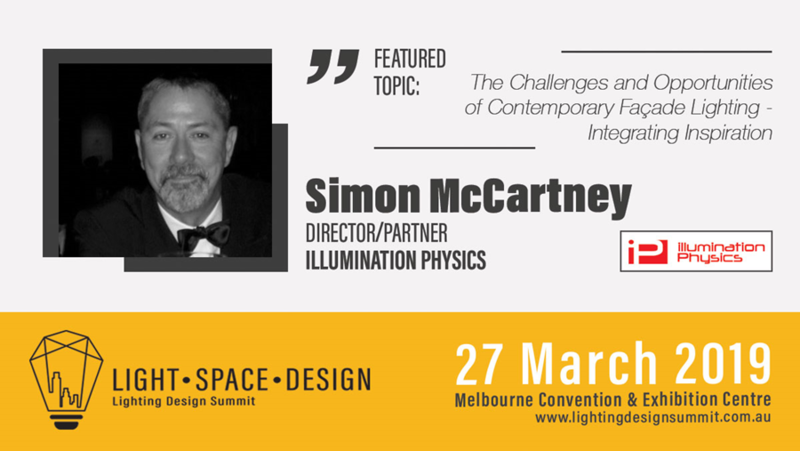 Simon McCartney will be speaking at Light·Space·Design Summit 2019 on the 27th of March in Melbourne, Australia! Simon will be presenting his topic "The Challenges and Opportunities of Contemporary Façade Lighting - Integrating Inspiration" at 12:10-12:30pm. Simon will also be moderating the panel "Achieving Cohesion Between Light, Space and Design: Effective Collaboration Between Design Professionals" at 11:30am-12:10pm. Peter Kemp & Simon McCartney will be attending the summit. The summit will be a great opportunity to expand your knowledge and network.